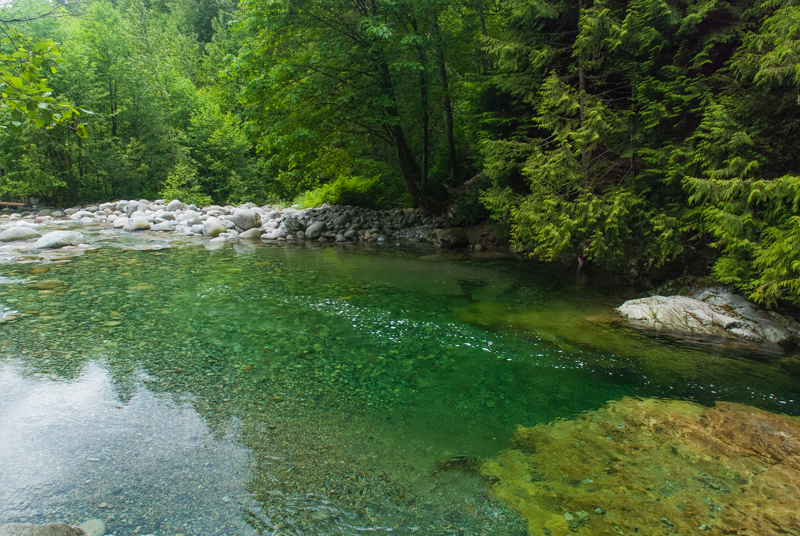 The 30 Foot Pool is on route to the Pipe Bridge which crosses the canyon and leads to the top of Lynn Valley Road. If the Pipe Bridge is where you are headed, be prepared for a long climb up a wooden stairwell to the top of the canyon. There is a lookout point on the stairwell with a great view of the 30 Foot Pool and surrounding area.